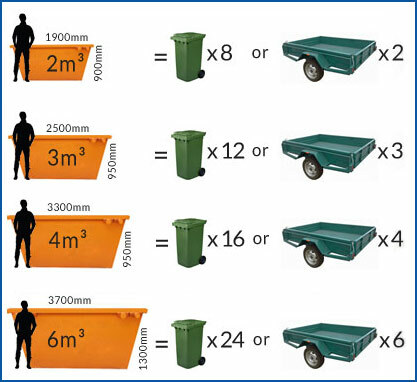 Skip Bin Hire in Melbourne's Western Suburbs – Skip Bins Plus! Full list of suburbs serviced below. An addition council permit fee of $60 will apply for placement on road or nature strip in Darebin. Alphington, Bundoora, Coburg, Coburg North, Fairfield, Keon Park, Kingsbury, Macleod, Northcote, Preston, Regent West, Reservoir, Thornbury. An addition council permit fee of $70 will apply for placement on road or nature strip in Maribyrnong. An addition council permit fee of $50 will apply for placement on road or nature strip in Melton. Brookfield, Burnside, Burnside Heights, Caroline Springs, Diggers Rest, Exford, Eynesbury, Hillside, Kurunjang, Melton, Melton South, Melton West, Mount Cotterell, Parwan, Plumpton, Ravenhall, Rockbank, Taylors Hill, Toolern Vale, Truganina. An addition council permit fee of $70 will apply for placement on road or nature strip in Moonee Valley. Aberfeldie, Airport West, Ascot Vale, Avondale Heights, Essendon, Essendon North, Essendon West, Flemington, Keilor East, Moonee Ponds, Niddrie, Strathmore, Strathmore Heights, Travancore. An addition council permit fee of $60 will apply for placement on road or nature strip in Moreland. Batman, Brunswick, Brunswick East, Brunswick West, Coburg, Coburg North, Fawkner, Fitzroy, Fitzroy North, Glenroy, Gowanbrae, Hadfield, Merlynston, Moreland, Oak Park, Parkville, Pascoe Vale, Pascoe Vale South.